Why is it that after all this innovation and newer touches to the wah pedals many musicians still come back to the original models? They are not as versatile as the modern ones, but for some reason, they have not lost their popularity. There can be numerous answers to the first question but probably the one you will hear repeatedly is the sound. Original wah pedals had distinctive sonic features and that is how they managed to capture the hearts of so many musicians. Plus, they occupied countless stages and became the part of legendary performances. 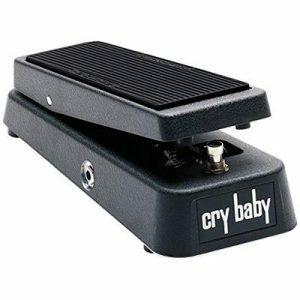 Virtuosos such as Jimi Hendrix, Steve Vai, Eric Clapton, Zakk Wylde, Kirk Hammett and many others employed original Cry Baby GCB95 from Dunlop. It quickly became the integral part of their music and even defined their style and character. This pedal has a lot of competition to overcome these days, since there are more diverse models available. However, it has its own niche place and seems like it is not going to give it up. If you are not looking for ample features and want something powerful and simple, then you should definitely keep on reading this article! Let’s begin! As I have already mentioned, the main pattern with Cry Baby GCB95 is simplicity. It is not replete with state-of-the-art features, but rather offers essentials that are needed to create those prominent wah sounds. This bad boy has classic Cry Baby design with black surface and the name on the front. The chassis is built with top grade steel and is quite heavy. As you hold it in your hands or place it down to stomp, you feel the sturdiness all the way through. None of it seems cheap or clumsy. You get the idea that it will last you through a couple of lifetimes. And it does so undoubtedly. It has rubber feet that guarantee non-slippery operation. After all, nobody wants their pedal traveling along the stage mid-performance. Cry Baby GCB95 has a treadle that is the main contributor to the sounds it produces. You will not find any internal pots or those fancy extras. The only thing you work with is the pedal itself, which is why this fella is admired to such great extent. Cry Baby GCB95 has been in production since 1960s, but newer production has certain improvements compared to its predecessors. It is worth noting that it utilizes red Fasel inductors in order to emit the effect. It substituted the black inductors that Dunlop utilized in earlier versions. One more update is the footswitch, which is not True Bypass but it comes close enough. Just like the majority of the pedals out there, Cry Baby GCB95 can be powered with a single 9V battery or a power adapter. The battery can be accessed by removing the bottom plate. It does also come with a universal jack that can be connected to any power socket, which is always a pro. As you can see, Dunlop redefines versatility and applies it to the essential features. Cry Baby GCB95 is extremely durable, easy to use and convenient. I do not think it gets simpler than that. And plus, it offers the legendary tones that made wah so renowned in the first place. That is something no other brand can compete with. When it comes to the control section, there is nothing much to say. To be more precise, there is nothing to say, since Cry Baby GCB95 does not have any controls or pots. The only thing it has is a footswitch that is located under the treadle. You have to depress it pretty hard in order to activate the effect. Even though it might seem a bit hard in the beginning, once you get used to the pedal, you will understand why it requires so much pressure. Nobody wants to turn off their wah pedal accidentally while intending to achieve extreme effects. The lack of encoders deprives you of the ability to tweak your sound to any extent. You are left with the capabilities of the pedal and its sound. I guess that’s where its charisma lies. From what I have already said and underlined above, at this point you should have an idea of the sonic character Cry Baby GCB95 possesses. It offers classic wah-wah sounds that have high-end definition. That is made possible with the red inductor that generates its sweep. The emphasis on higher harmonics adds very prominent nature to the sound of this bad boy. What is more, this pedal is perfect for rhythmic stomps and riffs. It can create spectacular ‘wacka-wacka’ sounds that are great for accessing extreme realms. It has wonderful tone with clean signal, but once you pair it with distortion or overdrive you enter the layers of ethereal effects and, thus, open up the doors of resembling the legends. If you want to replicate Jimi Hendrix, you just have to put Cry Baby GCB95 in front of the dirty channel. It is as simple as that. The versatility you get out of this fella largely depends on your range of motion. The way you touch the treadle and alter its position will determine the end results. But there is one simple truth here: Cry Baby GCB95 has mind-blowing tonal capabilities even without any modes and presets. Just keep in mind that it has subtle click once you engage the footswitch, but that is a very minor issue for me. 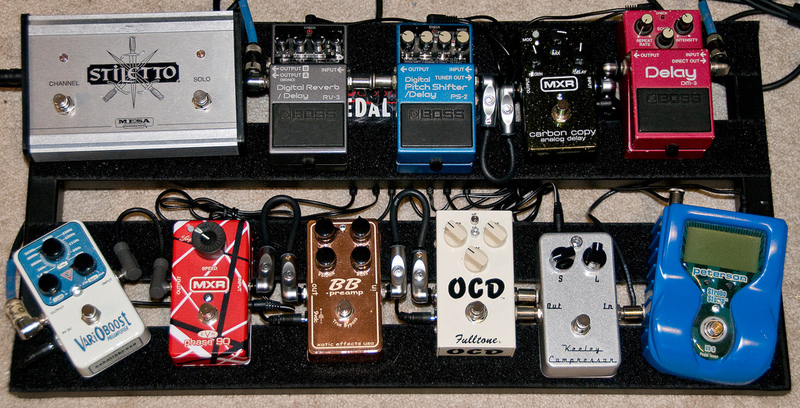 Other than that, this pedal does not have any tonal flaws. On the whole, Cry Baby GCB95 is a great way to achieve wah effect with simple movements. All you have to do is plug it in and start performing. You should leave the rest to the disposal of the pedal and it will know what to do. While younger players who are used to versatile features might consider this pedal a bit too straight-forward, those who appreciate those original sounds will enjoy it quite a bit. Good luck!